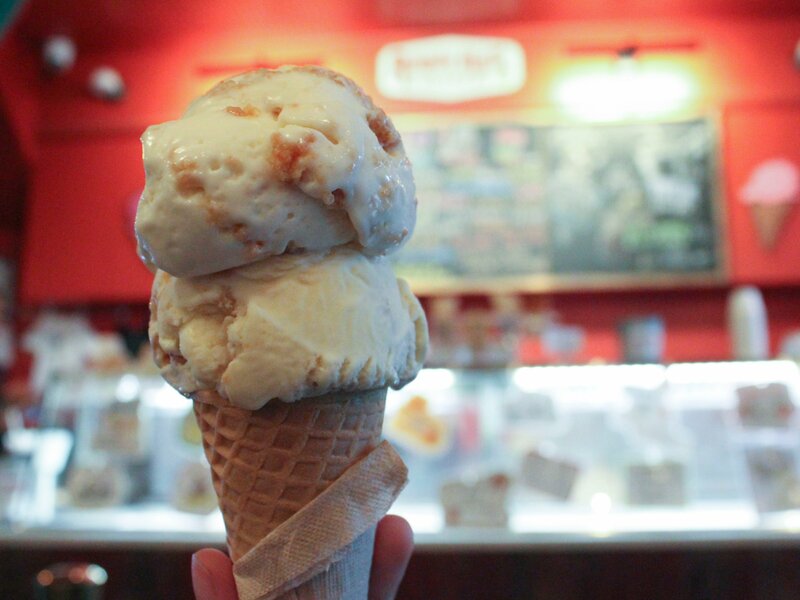 Ample Hills Creamery has become a favorite among New York City-based ice cream aficionados thanks in part to its rich tastes and zany flavors.The local chain was born in Brooklyn in the spring of 2011 to budding entrepreneurs Brian Smith and Jackie Cuscana. The couple began creating ice cream and baked goods from scratch, spending hours a day churning out their original flavors. Ample Hills has grown rapidly, expanding to nine locations in New York City, one in Disney World and now, a new store coming to New Jersey. Smith said he has big plans for the future, including growing the business to be on the level of Starbucks or Ben & Jerry’s. He told Bloomberg that he plans to complete a Series A funding round this fall, and is hoping to raise $8 million. Plans for a massive ice cream factory are also in the works.”We want our brick-and-mortar shops to be community hubs in the way that [Starbucks executive chairman] Howard Schultz transformed the idea of coffee shops into a destination. 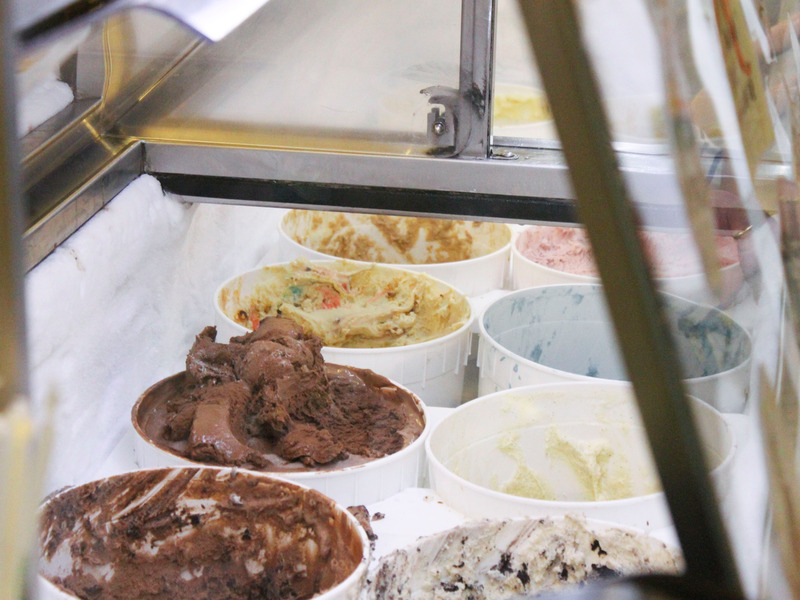 Where people go to pass the time … we want to do that with ice cream,” he said. I was curious to see if Ample Hills Creamery would live up to the hype, so I visited two locations within New York City. Another wonderful customer of C. Nelson Mfg., CO., Oak Harbor, Ohio, USA. This entry was posted in Ice Cream Retail, News, Uncategorized and tagged Ample Hills Creamery, Business Insider, cnelson, ICE DIPPING CABINETS, kaitlin hatton on September 19, 2017 by George Dunlap. Which flavor has the artificial coloring? This is fun branding. Check out Ample Hills website for details of this Scoop-the-vote roll out. 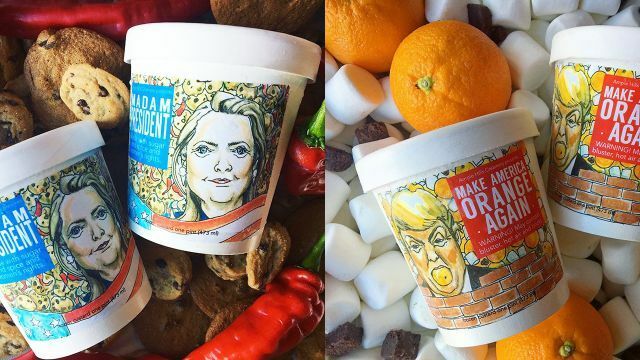 This entry was posted in New Ideas, News and tagged Ample Hills Creamery, bill clinton, donald trump, Hillary Clinton, hilli, ice cream flavoring on September 29, 2016 by George Dunlap. This entry was posted in Best of, News and tagged advent calendar, Ample Hills Creamery, star wars, star wars ice cream flavors on December 15, 2015 by George Dunlap. This entry was posted in News and tagged Ample Hills Creamery, Brooklynn ice cream, venture funding on November 16, 2015 by George Dunlap. Great tasting ice cream cakes by our friends at Ample Hills Creamery. This entry was posted in How To Make and tagged Ample Hills Creamery, cold molds, how to make ice cream cakes, ice cream cakes on November 16, 2015 by George Dunlap.